When your team uploads images and other media, you want to ensure they’re going to the right directory. Set this up by going to Settings > File Paths. You should see the following settings which are described below. 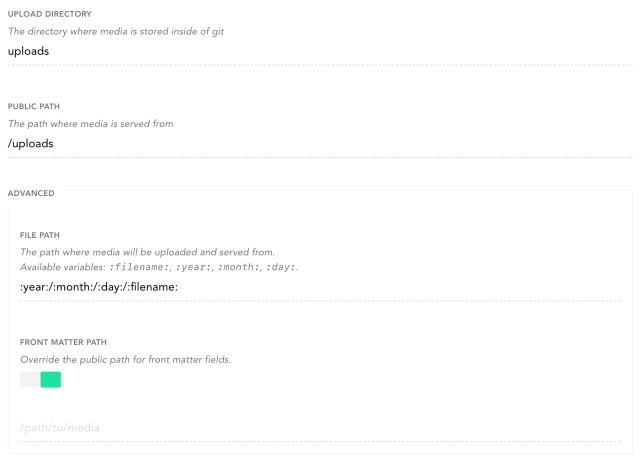 The folder within your repo to store the uploaded media. If this is set to a directory that doesn’t exist, Forestry will create that directory. The path that will prepend media files uploaded in the body editor. The path that will prepend media files uploaded from Front Matter fields. For example, if this value were set to /uploads Forestry would write out the following image value. With Hugo, all static assets belong in your /static directory which then get outputted in the root of your built site. When these variables are used in the Upload Directory setting, Forestry will create the necessary folders if they don’t exist when a file is uploaded. For more information on media settings visit the Media Library doc. In this section we will configure your content model. This determines which fields are displayed for your pages, posts, etc. When you sync a new site with Forestry, all data found in the Front Matter for your pages will be displayed as UI fields. 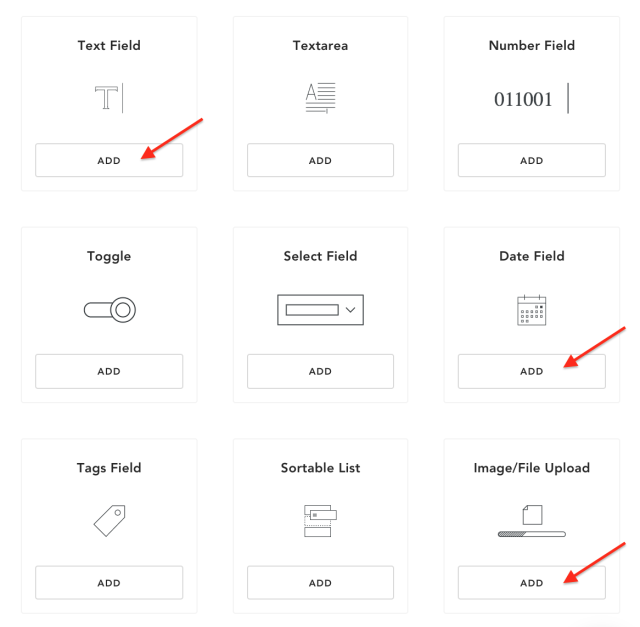 However, if you want to configure how these fields are displayed for your editors and which fields should appear for new pieces of content, you’ll need to set up a Front Matter Template (FMT). This is where we’ll create a UI that’s tailored to our Front Matter data. 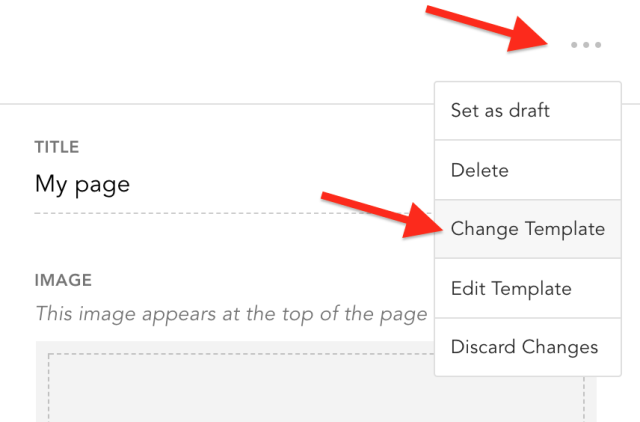 If you just want to add fields that match an existing piece of content, navigate to that page and click the settings drop down. From there, you can choose “Create Template” which will create a Front Matter Template based off that page’s front matter data. To set default values for your fields, just edit the field value right in the Template editing interface and save your changes. Finally, if you do not need a WYSIWYG editor for this content type, enable the Hide Body toggle. 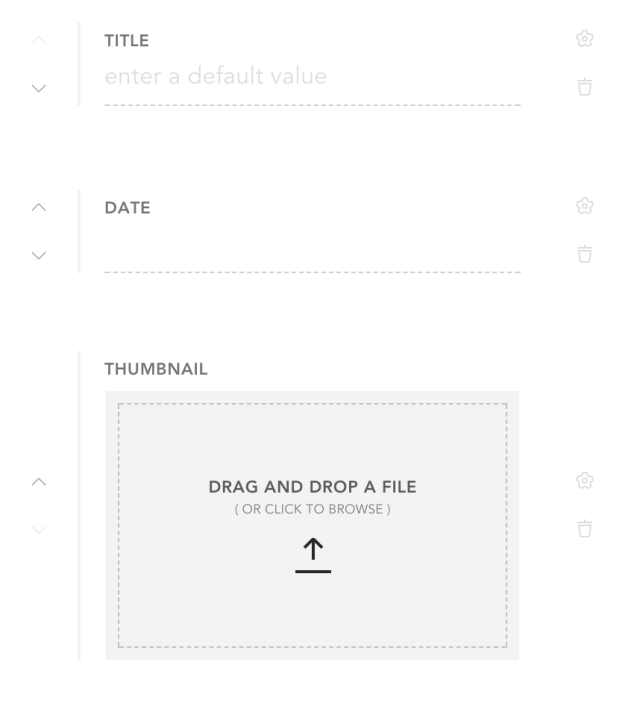 Select your newly created template and save your changes. You probably noticed Forestry committed a .forestry folder to your repository. This stores all of your sites configuration (FMTs, image settings, etc). If you prefer working in a text file, you can set all of your site’s configuration by editing these files. More info here.